India and Pakistan have exchanged lists of civilian prisoners and fishermen lodged in each other’s jails. The list was shared as per the provision of bilateral agreement on consular access agreement signed between both countries in May 2008. Under it, lists of prisoners have to be exchanged on January 1 and July 1 every year. India also shared details of reconstituted Joint Judicial Committee in order to take further understanding reached to address humanitarian issues, especially with respect to elderly, women and mentally unsound prisoners and that of Indian medical experts team to visit Pakistan to meet mentally-unsound prisoners. While India handed over to Pakistan lists of 249 civilian prisoners and 108 fishermen, Pakistan shared lists of 53 civilian prisoners and 418 fishermen in its custody, who are Indians or believed to be Indians. The data collected during the 2021 Census will be stored electronically, the first time since the decennial exercise was conducted in 1951 in Independent India. According to an amended rule notified by the Registrar General of India (RGI), the schedules and other connected papers shall be disposed of totally or in part by the Director of Census Operations, after creating an electronic record of such documents.The records running into crores of pages were occupying space in government office and it has now been decided that they will be stored in an electronic format. Any tampering with the data will invite punishment under the Information Technology Act, 2000. The ninth and final meeting of Eminent Persons Group (EPG) on India-Nepal relations concluded in Kathmandu, capital city of Nepal. During this two day meeting, representatives from India and Nepal deliberated up on various bilateral issues including 1950 Peace and Friendship treaty, trade, transit and border. During the last meeting, EPG successfully prepared joint report which will be submitted to Prime Ministers of both the countries. It has agreed to update all the bilateral treaties and agreements reached in past between India and Nepal in line with the present reality of the two countries. EPG members from India included Bhagat Singh Koshyari, Mahendra P Lama, Jayanta Prasad and B C Upreti and from Nepal included Bhekh Bahadur Thapa, Nilambar Acharya, Suryanath Upadhyay and Rajan Bhattarai. Every year on 1 July the National Doctors Day is observed across India to express gratitude and acknowledge the dedication and commitment of the doctors towards our society. The observance of the day honours legendary physician and West Bengals second Chief Minister, Dr Bidhan Chandra Roy whose birth coincides on the same day. Indian Medical Association (IMAs) theme for 2018 National Doctors Day is Zero tolerance to violence against doctors and clinical establishment. Dr Bidhan Chandra Roy was highly respected physician and a renowned freedom fighter. He was the second Chief Minister of West Bengal and remained in his post for 14 year from 1948 until his death in 1962. He was awarded Bharat Ratna, Indias highest civilian award in 1961. The Union Government has instituted Dr BC Roy National Award in his memory. He was instrumental in formation of Indian Medical Association (IMA) in 1928 and also in establishment of Medical Council of India (MCI). The Union Government has constituted 13-member Committee for Sub-National Accounts to upgrade the norms for computation of economic data at states and districts level in backdrop of plans to revise the base year for National Accounts or Gross Domestic Production (GDP) calculation. It will be headed by Ravindra H Dholakia, a retired professor of IIM Ahmedabad. The committee will review concepts, definitions, classifications, data conventions, data sources and data requirements for preparation of State Domestic Product (SDP) and District Domestic Product (DDP) and to lay down revised guidelines. It will also suggest measures for improving SDP and DDP in the country taking into consideration availability of data and requirements of Centre and States/UTs. Ministry of Statistics and Programme Implementation (MOSPI) is planning to change base year to 2017-18 for calculation of GDP and Index Industrial Production (IIP) numbers from current 2011-12 with an aim to capture changes in the economy. According to Nikkei Manufacturing Purchasing Managers Index (PMI), compiled by IHS Market, Indias manufacturing growth jumps to six-month high in June 2018. Manufacturing PMI rose to 53.1 in June 2018 from 51.2 in May 2018, the highest since December 2017. This is the 11th consecutive month that the manufacturing PMI remained above the 50-point mark. The reading above 50 on index denotes expansion and less than that indicates contraction in activities. PMI is an indicator of business activity-both in the manufacturing and services sectors. It is a survey-based measure that asks respondents about changes in their perception of some key business variables from month before. Manufacturing growth measured by PMI which is usually released at start of month is considered good indicator of industrial output. The Supreme Court upheld the appointments of Central Vigilance Commissioner K.V. 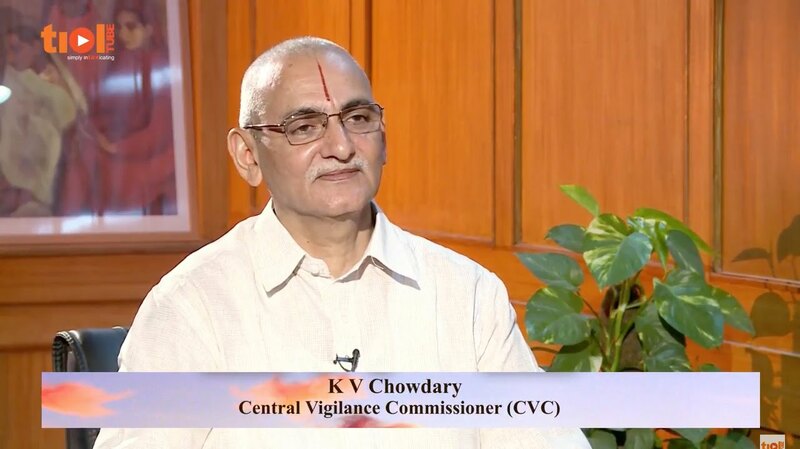 Chowdary and Vigilance Commissioner T.M. Bhasin almost three years after they assumed office in 2015. In an 86-page judgment, a Bench of Justices Arun Mishra and Mohan M. Shantanagoudar said allegations could be made against even very honest persons and such complaints could not be taken at face value. The petition, filed by NGO Common Cause in 2015, alleged that the appointments were illegal, void and a violation of institutional integrity. Bilateral relations between India and Maldives are on the brink once again as the deadline for India to withdraw its two helicopters has passed and the issue of visas for thousands of Indian job-seekers remains unresolved. The visas of more than 26 Indian Navy personnel operating the Advanced Light Helicopter (ALH) were valid till June 30. However, Male has refused to extend their visas and has already asked India to take back the two ALHs. The Navy personnel are in Maldives awaiting further instructions, a defence official said. The two helicopters were gifted by India in 2013 and one was operated by the Indian Coast Guard and the other by the Indian Navy. The Supreme Court asked the government to file an affidavit in the next 10 days, detailing the steps it would take for the appointment of Lokpal, the anti-graft ombudsman. A Bench of Justices Ranjan Gogoi and R. Banumathi scheduled the next hearing of the case for July 17. It has been constantly urging the government to complete the process of appointment at the earliest. In May, the Lokpal selection committee, led by the Prime Minister, had appointed former Attorney-General Mukul Rohatgi as eminent jurist to the panel that will short-list candidates. Besides the Prime Minister, the selection committee is composed of the Chief Justice of India and the Lok Sabha Speaker.Check out the CLATGyan Test Series 2019 : 30 Simulated Online Tests + Personal Mentor | Run entirely by the students of NALSAR University of Law.